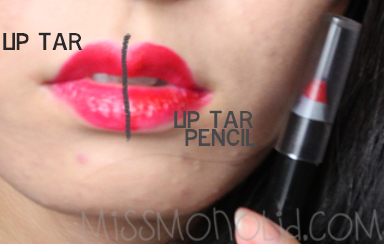 miss monolid: DIY OCC Lip Tar Pencil! 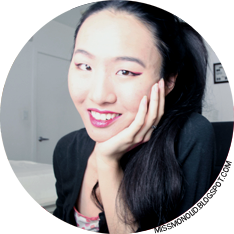 When I saw Mai's post on how to turn your Lip Tars into Lip Tar pencils, I knew that I had to do it! Although I loved the pigmentation and staying power of my OCC Lip Tars, I hated how difficult and time consuming they were to apply, with the brush and dispensing the product. I ordered the items that were suggested by Mai from tkbtrading, and followed her instructions. One thing to note is that this process de-vegans the Lip Tars, so my lovely vegan readers would have to find a vegan base in order to do this. Materials assembled, minus the gloves and alcohol - click for larger image. I first sanitized all my containers using alcohol. 2 grams of Stalker - click for larger image. 3 grams of eyeliner base - click for larger image. Using my small scale, I bought this one from Amazon, I weighed out 3 grams of eyeliner base, which is lip safe, and 2 grams of OCC Lip Tar in Stalker. I microwaved the eyeliner base for 30 seconds at a time, until the the base became liquidy (took 2 times), but not boiling, and mixed the base with the Lip Tar, which was also microwaved for 20 seconds. Mixed, not quite enough yet.. but you get the idea! Click for larger image. Finally, mix the base and the Lip Tar super well, then pour the mixture into the lip pencil blank. Finished product vs original liptar. Click for larger image. I plopped the pencil into the freezer for 5 minutes, and sharpened it, and viola, it's ready for use! One swipe with lip brush and one swipe with lip pencil - click for larger image. 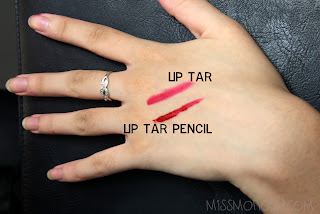 The lip tar pencil pigmentation was actually pretty shockingly good, considering that there was 3 grams of eyeliner base compared to the 2 grams of lip tar. Left side with regular liptar application with lip brush, right side with lip tar pencil. Both were equally easy to apply, but I have to say the lip tar pencil would be easier to travel with for touch ups, not that you'd need it! Full face comparison, side wth lip pencil = lip pencil - click for larger image. As you can see in the swatches, the color payoff is around the same. I feel like there might be a slight difference, but the ease of use/travel-friendliness more than makes up for it! Hope you find this post informative. Thanks for joining me! Great idea! It's interesting that the pencil looks more red than the original lip tar... I wonder why that is? I'm not quite sure why that happens either, but it could be because more product can stack on top of each other, because it's more dry, whereas the lip tar is wet and takes longer to dry, and more layers can only be added when it gets dryer. Either way, I'm a really big fan of lip tars, because they last forever on me! I wore Vintage out the other day and it lasted 6 hours and 2 meals, until I had to wash it off at night!